Have you heard there’s a new bird and pollinator garden at the NC Executive Mansion? Learn all about how Audubon worked with First Lady Kristin Cooper to create it, and how you can plant for birds too. Native plants play a very important role in providing the food birds need to survive and thrive in a way that non-native plants cannot do. By planting shrubs that provide the high-fat berries birds need to fuel up for long migration flights, trees that host the caterpillars that become baby-bird food, and flowers that provide nectar for hummingbirds, your yard — like the First Lady’s — can make a real difference for birds year-round. Learn how you can start helping birds in your yard and in your community, and how to download Audubon’s new Plants for Birds list specific for our region. 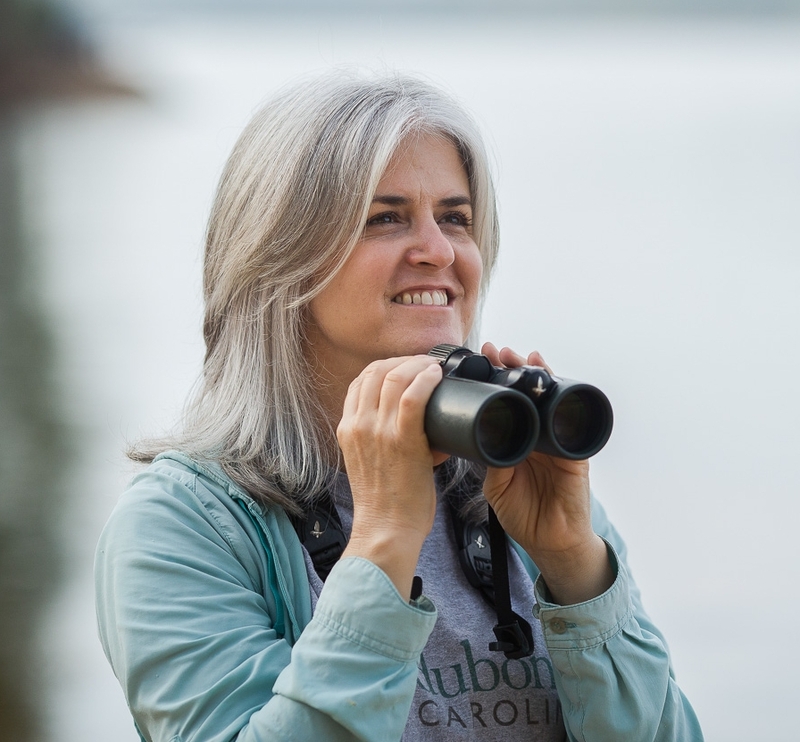 Kim Brand, Field Organizer for Audubon North Carolina, has been working toward bird conservation goals with Audubon for five years. She began as a volunteer co-chairing the new Bird-Friendly Communities program, and now holds a staff position leading this program. She also created a climate volunteer program called The Audubon Ambassador. This program has generated 300 trained volunteers and has expanded to 10 other states. Kim is a 2013 Audubon Toyota TogetherGreen Fellow for her work with Habitat for Humanity of Forsyth County. Kim lives in Winston-Salem and works statewide for Audubon North Carolina.